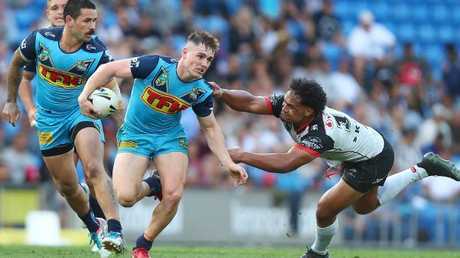 GOLD Coast halfback Ash Taylor wants to see AJ Brimson play fullback for the Titans this season after his outstanding first year in the top-grade. 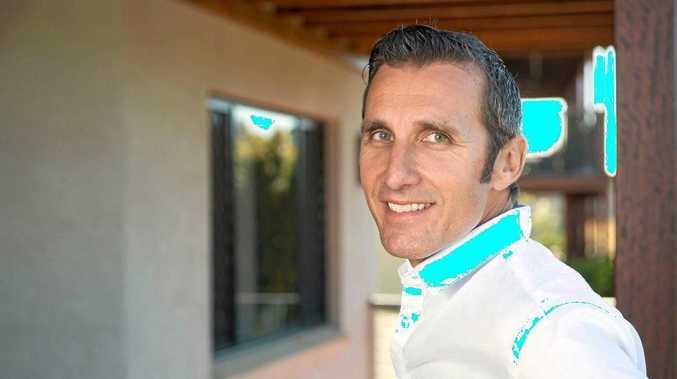 Not just because he sees the 20-year-old as being "more dynamic" in the custodian role, but because he wants to reunite with Tyrone Roberts in the halves. Roberts took Taylor under his wing when the prodigious Broncos junior cracked first grade at the Titans in 2016. "I'd love to see Tyrone [play five-eighth]," Taylor said. "He's been a great mate of mine ever since he came up from Newcastle and he's given me his experience and I want to give it back to him." Asked if he and Roberts can steer the Titans to the finals - just as they did in 2016, when they pushed the Broncos right to the wire in the elimination final - Taylor nods. "Yeah I've seen glimpses of it at training as well," he replied. "He's bringing back his little angry head and really guiding the boys around good." As for Brimson, who burst onto the scene with a string of impressive performances in the No.6 jumper after replacing Kane Elgey, Taylor insists he's better at the back. Indeed, he scored four tries in four games at fullback last year, and pulled off several try-saving hits. "I think both positions he's suited to, but more dynamic at fullback," Taylor said. "People have seen what he can do at fullback and five-eighth but I think he's a more damaging player at fullback." 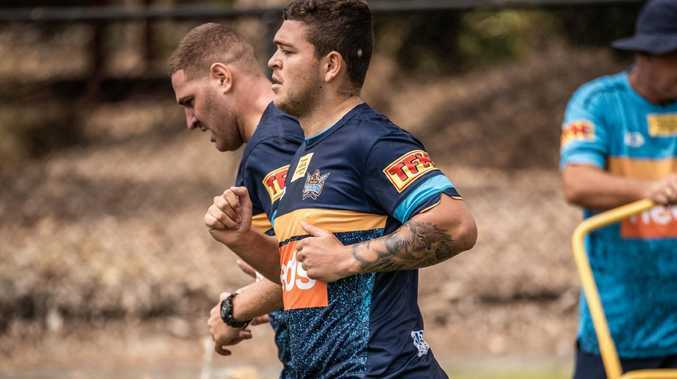 He expects Brimson to feel the heat in 2019, and not just because he'll have veteran Michael Gordon applying the blowtorch if he is named at fullback. "The second year is the hardest out of the three or four years I've played now," Taylor said. "It really takes a toll on you because people start reading your game and they pick up what you're doing on videos and stuff. "If I had to give [Brimson] advice today it'd have to be just keep working hard and keep competing on everything." If Brimson does take Gordon's No.1 jersey, the 35-year-old will be competing with Brenko Lee and Anthony Don to play wing.